Last Sunday we had an amazing day in our kids work. We had 26 children aged from 5 to 9 who responded to a call to commit their lives to Jesus Christ, of which 16 were doing that for the very first time. I realise that for all of the children this is a journey, which as with us adults will have a whole load of twists and turns, but even with that proviso it’s so exciting to see what God is doing among our children. As a church we realise that our children’s work is one of our most fruitful places for us seeing lives being transformed. We want to create a great experience for children when they come on a Sunday, and do all we can to equip and support families in raising their children to have a deep and lasting relationship with Jesus. I blogged a couple of weeks ago to let you know about a full time role on our Bracknell site for heading up our kids work. Applications for that role close on Monday so if you’ve interested please get your application in quickly. I now want to let you all know about an equivalent role at our Sandhurst site. This is a three day a week role, including Sundays. You can find a job description here, application packs are available at the Kerith Centre reception. The closing date for applications is Friday 29th December. 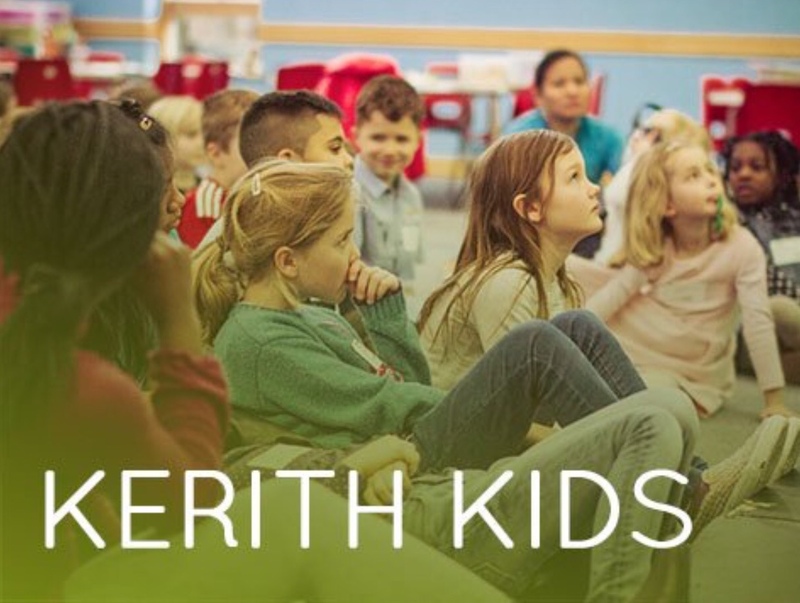 If you would like further information on the role please contact either Ali Hudell, our HR Manager, or Sonia Hopkin, who oversees Kerith Kids across our sites, or phone the Kerith Centre reception on 01344 862699. Please be praying about whether this might be for you, for someone you know, or if neither of those apply that the right people will come forward for both Bracknell and Sandhurst, as part of us helping people find their way back to God. On Sunday we have the privilege of having Tope Koleose preaching at all of our meetings. 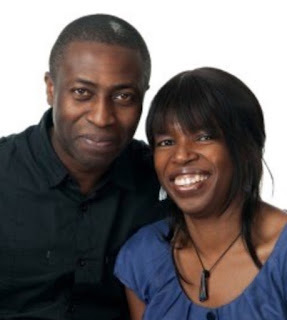 Tope leads Jubilee Church which is one of the biggest churches in the UK, with three sites in London and one in Lusaka, Zambia. He is an outstanding preacher and regularly speaks at conferences for the likes of John Piper, New Wine, Vineyard, Newfrontiers and many others. I think you’ll love him! Tope and his wife Kemi have also become good friends to Catrina and me over the last few years. Kemi has regularly brought a group of women from Jubilee to our REAL women’s conference, and this year she hosted her own women’s conference which was a big success. I’m so looking forward to having them with us on Sunday. Please come full of expectation for God to speak through Tope and to move in us all. If you were around on Sunday morning you’ll have heard that Andy Jackson is going to be leaving the staff team at the end of this year, after 11 years on staff overseeing all of our social justice. Our church has always had a social justice stream running through it, with over the years everything from prison ministry to food distribution to supporting families with children with special needs. But under Andy’s gentle but focused leadership the stream has becoming something of a flood plain! It started with Andy being our first CAP debt centre manager in 2006, but has then expanded to include Foodbank, Job Club, Life Skills, Addiction Recovery, working with the homeless, caring for ex offenders, early years intervention and much more. It would be no exaggeration to say that Andy’s leadership has transformed our church, and made us a church many others look to when they want to launch or enhance their own social justice ministries. 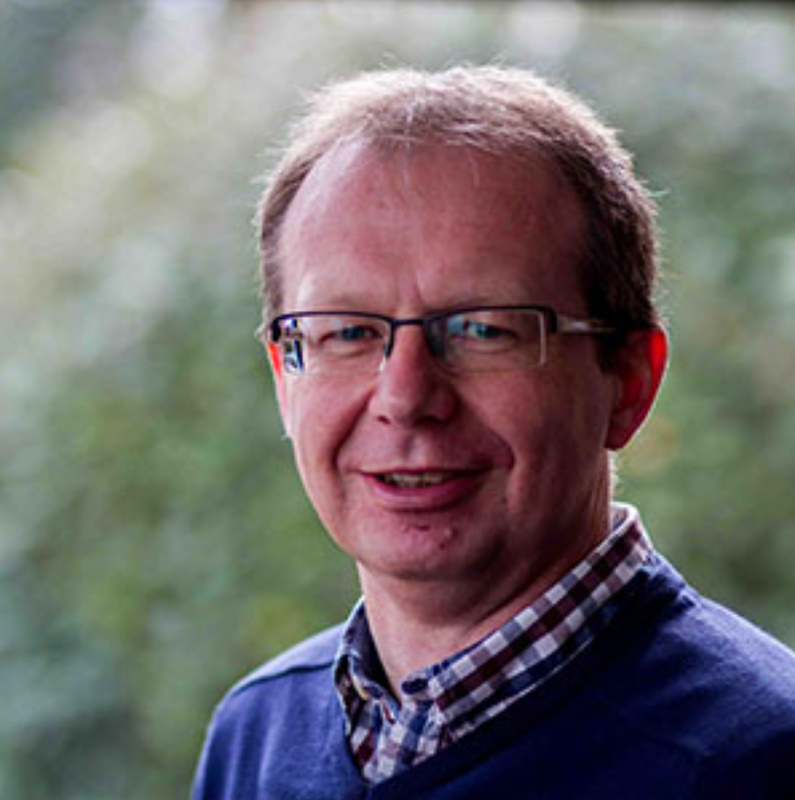 Andy has also been responsible for overseeing and developing many of our partnerships with CAP, Tearfund, Hope for Justice, TLG and others. If all that wasn’t enough Andy has also had a huge input to our safeguarding team, making sure all the children and vulnerable adults accessing Kerith are kept safe. He has also plated a big part in helping people within Kerith looking to set up their own charities such as Create Hope, Novō and Tehila. Words cannot begins to express how grateful I am to God for Andy and the gift of having him alongside me in the ten years I’ve been leading Kerith. He has been amazing, and I’m going to deeply miss having him around for his wisdom, insight, leadership, encouragement and continual reminder of God’s heart for the poor and marginalised. So why is Andy leaving the staff team - that’s a questions I’ve been asking too! Well about 18 months ago Andy felt God speaking to him that he had a fresh challenge for him. That sense has only grown over time, to the point where it seemed (to user a Biblical analogy) that Andy needed to step out of the boat if he was going to walk on water and access the new thing God has for him. So that’s what he’s doing - a huge step of faith which I applaud him for. Please join with me in thanking God for Andy, and for praying for the door to the next thing to swing open sooner rather than later! He has a number of open job applications - my prayer is for a role where he will be even more fruitful that he’s been in Kerith, and selfishly where he and his wonderful wife Janine can stay as part of our church community. Hope to see you there on Tuesday, but if you can’t make it and know Andy why not send him a message expressing your gratitude for all he’s done - I know he’ll appreciate it. We’ve had an amazing day in the office today, celebrating six people who over the weekend chose to make Jesus their Lord and Saviour, and another three people who recommitted their lives to Jesus. For me it doesn’t get better than this. Our vision as a church is to help people find their way back to God, so there’s nothing more exciting than it actually happening. 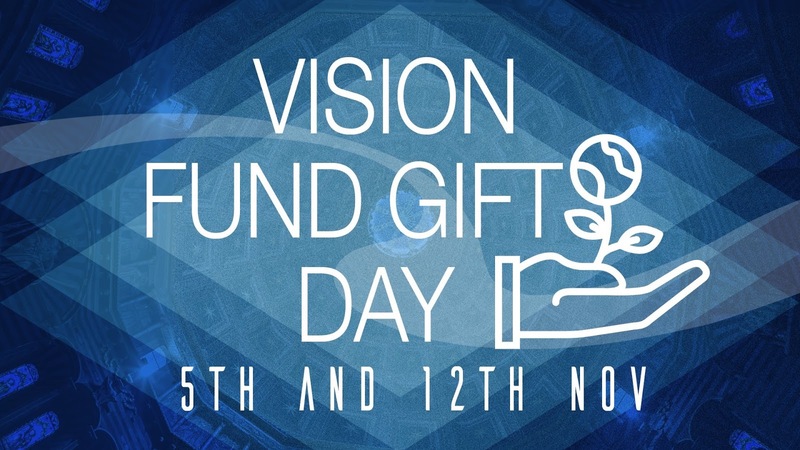 That’s what our vision fund is all about. You can read the details of what we’ve done in the last year and some of what we intend to do here, but in essence we’re looking to improve and expand each of our sites to make them more effective places for people to connect with Jesus. I know that lots of you will already have given, but for those haven’t yet given but would like to please can I encourage you to do it quickly, so that we can include it in the total we announce on Sunday. 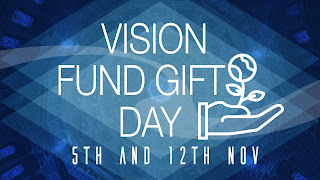 You can find all the details on how to give here - if you’re doing a bank transfer please mark it as being for the vision fund so our finance team know where to allocate it. Or you can give using our Church Suite app for smartphones or tablets. I’m so grateful to be part of such a generous community. Having just come back from Zambia where I got to meet some of the girls now in the Serenje Dormitory, I’m so aware of the power of our generosity to change lives, and the eternal nature of the return on that investment. We currently have a vacancy for someone to lead Kerith Kids on our Bracknell site. This is a full-time position, to include Sundays, and involves facilitating a great Sunday experience for Kerith Kids. You will be key to the safe recruitment, training and relationship building of volunteers whilst being the lynchpin on a Sunday morning, giving our kids the best possible experience every time they come to Church. Application packs and job descriptions are available from the Kerith Centre reception desk. The job description is online here. The closing date for this role is Monday 27th November, with interviews being held on Thursday 30th November. If you would like further information on the role please contact either Ali Hudell, our HR Manager, or Sonia Hopkin, who oversees Kerith Kids across our sites. If this isn’t the role for you then please be praying that we find the right person, as this is a key position for us to fill. In the past God has answered that sort of prayer in amazing ways, including one time a number of years ago when we were praying for a youth pastor and I ‘happened’ to meet a visitor whilst I was serving in Kerith Kids who when I asked him what he did said he was a youth worker looking for a job. That person (Nigel Taylor) ended up applying for and getting the job, and he laid the foundation for much of what is happening in our youth today. God answers prayer! My only experience of being on the receiving end of sexual harassment was when I was 16. It happened in Pangbourne just the other side of Reading in the early afternoon during a school holiday. I was out with a bunch of friends, and went alone into the public toilets for a wee. While I was stood at the urinal I noticed that an older man to the left of me (the only other person in there) had turned to face me, and was exposing himself. He then zipped himself up and as he walked our ran his hand across the back of my trousers, touching both of my buttocks. I remember this mix of emotions - shock, dismay, a sense that it was somehow my fault and a feeling of being very unclean which stuck with me for months afterwards. After a few moments I walked out, but said nothing to any of my friends. It was over 20 years later that I spoke to anyone about what had happened that day. Now I realise that what happened to me was in the scheme of things very minor compared to what many have experienced, and although traumatic at the time it hasn’t (I think) had a long term impact on me. But I wanted to tell my story to say that I know from personal experience this stuff is very real, and that in the midst of all the daily revelations currently coming out around Hollywood, Westminster and I’m sure soon may other areas of life, this is an issue we as followers of Jesus need to be engaging with too. We need to realise both that it will have affected many people in our community, and that church is sadly not immune to the abuses currently being exposed in society. So I want to make an appeal to make church a safe place. A safe place where those who have experienced sexual harassment can find the courage to talk about what has happened to them, begin to find healing and move to a place where their past doesn’t define or limit their future. If you’re a victim of sexual harassment and have never talked about it, or maybe have talked about it but still haven’t found healing, then please find the courage to talk to somebody. And if somebody comes to you wanting to have that conversation please make the time to listen to them, to take them seriously, and if it’s something bigger than you can handle, to find others who can help. One of my joys as a pastor has been seeing people find freedom in this area - some of the heroes of Kerith, whose stories we may never publicly tell, are those who have overcome abuse in their past and are now living victorious lives. A safe place where people know that if they do disclose something that if will be taken seriously, rather than just being laughed off as “well that’s just what that person is like”, or covered up in order to try and somehow ‘protect’ the reputation of the church. If you have a concern please know that you can speak with me or one of our elders or trustees and you will be taken seriously. A safe place where we do everything we can to make sure that nobody feels intimidated or harassed. That’s not just about our safeguarding policies for our children and vulnerable adults, but also the spaces we create in our small groups, on our courses and on a Sunday. We need to be very aware that physical touch which one person thinks of as being affectionate or friendly may be seen by the person receiving it as inappropriate or creepy. That should cause all of us to be aware of how we may be making other people feel. In no way do I want to stop us being a physical community, hugging and all the rest of it, but all of us need to be aware of our action and people do need to be empowered to speak out if they do ever feel uncomfortable. And finally a safe place not just for victims but for perpetrators too. That might sound like a strange thing to say, but the reality is that the world doesn’t neatly divide into saints and sinners, victims and perpetrators, as we might like it too. We are all sinners. My sin may be different to somebody elses sin (and may be more acceptable in the eyes of the world) but it’s still sin and puts me in the same place as everyone else on planet earth. That is not in any way an attempt to excuse anyone’s wrong behaviour, but it is a recognition that church is a place where everyone can experience the forgiveness of our sins, both before God and with one another. For perpetrators that will require repentance, honesty, courage, and even boundaries around what they do in the life of the church, but church has to be a place of hope and restoration for everyone. If you know that’s you, then I encourage you to have the courage to talk to someone in the life of our community and being your journey of restoration. I write this blog with a sense of anxiety. Anxious about how people might react to me being honest about my experiece. Anxious that for people impacted they may feel I’ve trivialised their experience and don’t really understand their pain. And anxious that some will feel this is over the top and I’m just going along with the crowd in raising this issue. I pray instead that God will use it to provoke us into an honest discussion, that those impacted on both sides may begin the journey towards healing, that our church community will be a safe place for everyone who chooses to become a part of it, and that we might have a voice into society about how we should behave towards one another.